Hero MotoCorp, the world’s largest two-wheeler manufacturer, has further strengthened its market leadership with record sales in the month of June – 704,562 units of motorcycles and scooters. This translates into a growth of 13% over the corresponding month of the previous fiscal (June 2017) when the Company had sold 624,185 units. Riding on robust sales of its popular range of two-wheelers, the Company has created another global benchmark, clocking over 2.1 million unit sales in the first quarter (April- June) of this financial year (FY’19). Maintaining its strong growth trajectory, Hero MotoCorp sold 2,104,949 units in the first quarter of FY’19. The Company’s previous highest sales in a quarter was achieved in Q2 (July-Sept) of FY’18, when it became the only single two-wheeler company in the world to surpass the 2 million mark in a quarter by selling 2,022,805 units. Hero MotoCorp has surpassed 7-lakh unit sales in a month on three previous occasions – 706,365 (April 2018), 730,473 (March 2018) and 720,739 (September 2017). With monsoon already hitting many parts of the country, the positive consumption pattern is expected to continue in the coming months. 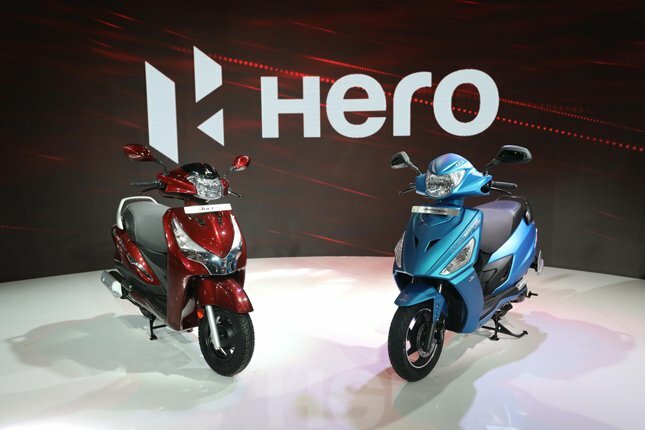 Hero MotoCorp is geared-up with an array of products – including its premium motorcycle and the new scooter range – to add to the positive sentiment and further delight the customers. The exact quantum of the increase varies – on the basis of the particular model and the specific market – upto Rs 500 at ex-showroom level.